Go outside and play! It’s time to start exploring hobbies that get you outside. An outdoor hobby is just what you need. The sun, the sky, and the breeze are guaranteed to put a great, big smile on your face. Alone or with friends, you can find an outside activity that will leave you feeling refreshed and energized. 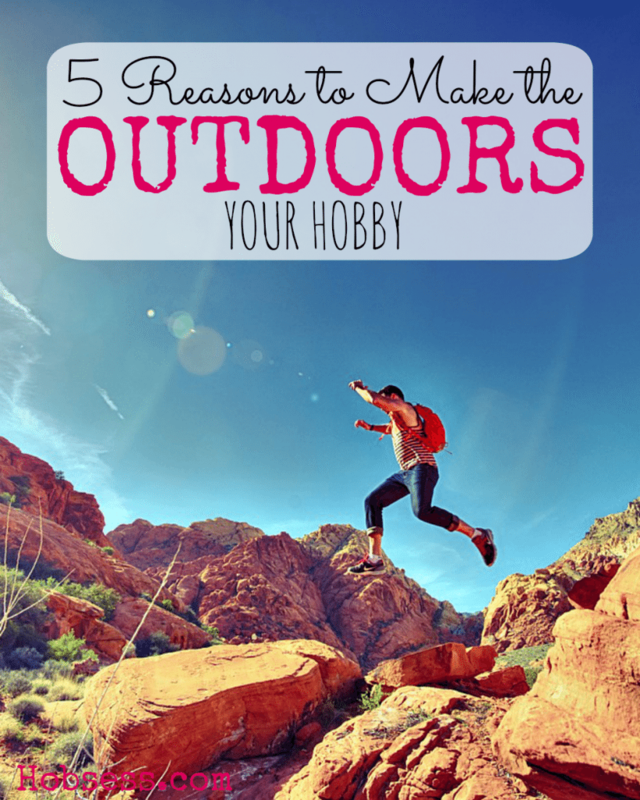 Here are 5 reasons to get an outdoor hobby. Just the simple act of getting outdoors can improve your mental state. So if nature can make you happy, why not select a hobby that will get you outdoors more? There are both active and passive outdoor hobbies to choose from so select one that suits your personality. Depending on the outdoor hobby that you choose, you can combine an outdoor and exercise hobby. Hiking, canoeing, whitewater rafting, all kinds of skiing, etc. will allow you to enjoy nature and get a good workout. The natural version of Vitamin D is much more powerful than the pill. All it takes is a few minutes outside and you will get a much-needed shot of Vitamin D.
If you need a better immune system, select a hobby that will take you outdoors. Having an outdoor hobby has been proven that just being outside has a calming effect. Even those in the city can benefit if they can find even a tiny bit of green space. Need to clear your mind? Get outside. Need to bring peace to your life? Choose an outdoor hobby. Outdoor activities can get physical and also activate your brain. It isn’t just the hobby that keeps your brain active but also the environment. The combination of being outside and actively engaged is powerful and contributes to overall well being. Check out this Science Daily article if you want to learn more. Let me hear from you below, which “Outdoor” hobby are you ready to try? So many hobbies, very little time indeed. If we only dont need money and a job, I would explore the world. Its so fun to be with nature, very relaxing to the mind, body and soul. Artemis2318 recently posted…What is the Best Metal Detector?